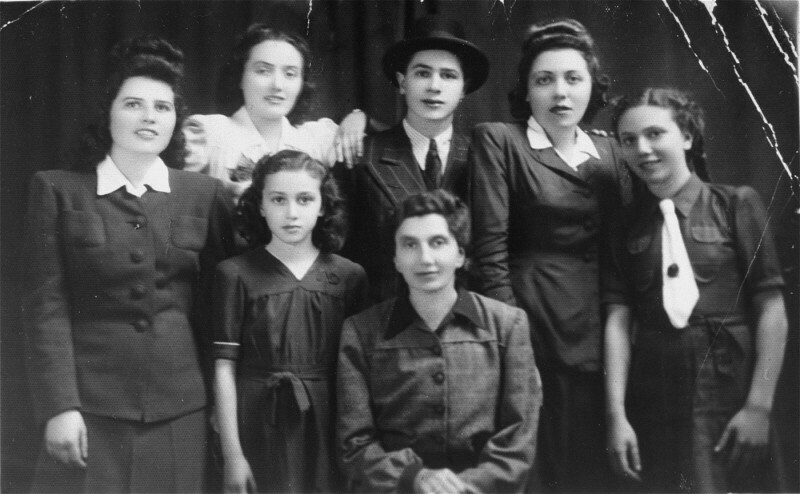 Group portrait of members of the Katz family of Munkacs. Pictured in the top row from left to right are: Chicha, Isabella, Philip, Jolon (Cipi), and Regina. In the bottom row are Helen (left) and Tereza. Munkacs, 1942–1943.